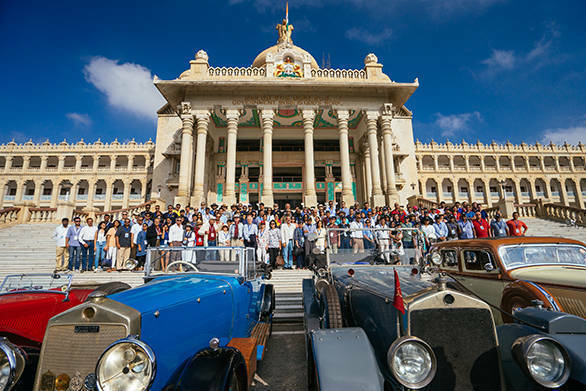 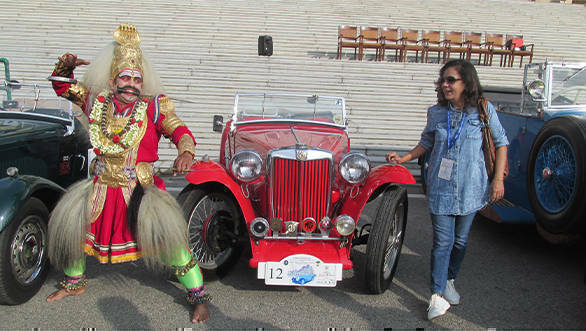 The recently formed Federation of Historic Vehicles of India (FHVI) held its inaugural event on 30th Sep and 1st October, with 50 classic cars being flagged of from the magnificent Vidhana Soudha in Bangalore. 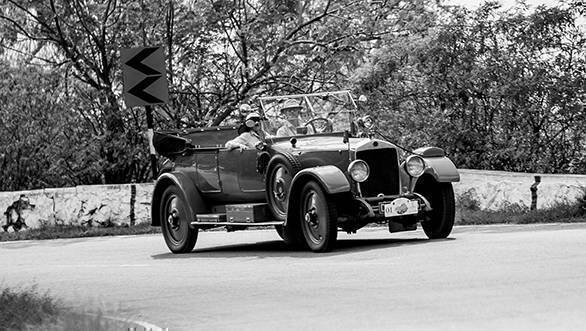 FIVA (Fédération Internationale des Véhicules Anciens) president Patrick Rollet participated with his wife Julie as well as Peter and Suzie Noble, the famous couple, entered in their 1924 Lanchester. 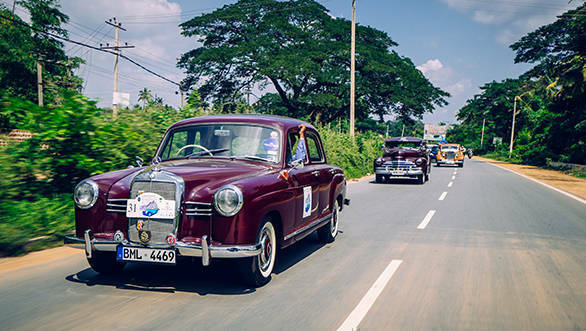 A Sri Lankan contingent also took part in cars provided or arranged by Dr Ravi Prakash, the president of the FHVI. 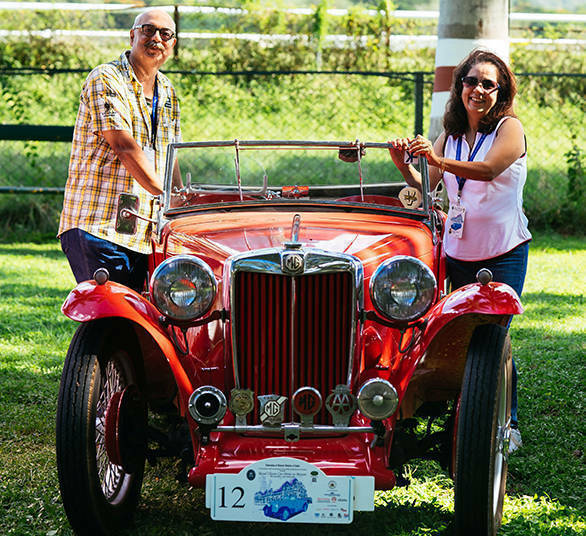 Thanks to Doc, this writer and his wife were also very kindly loaned a 1947 MG TC. 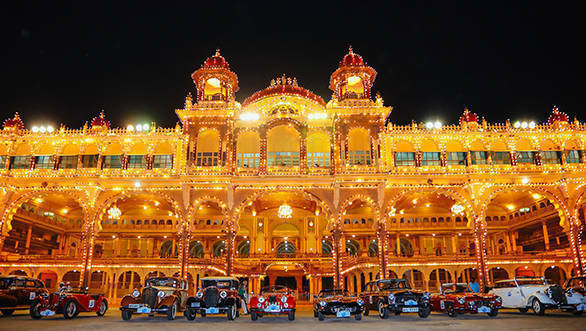 The drive from Bangalore to Mysore with some nicely-planned halts was, of course, nice, but it was the grand parade through the historic city of Mysore that was the highlight. 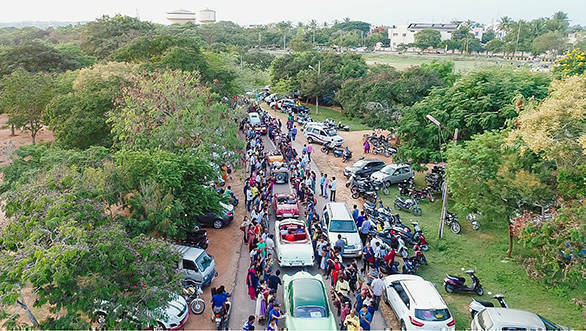 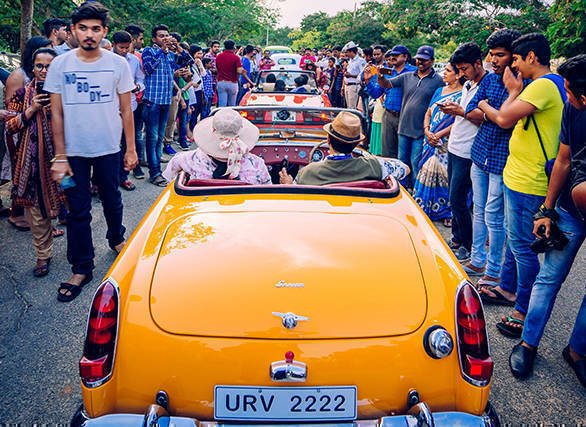 Thousands turned out to view the vintage and classic cars and the enthusiastic crowd response makes me believe that historical car events if organised and publicised well, have serious potential and a great future in India. 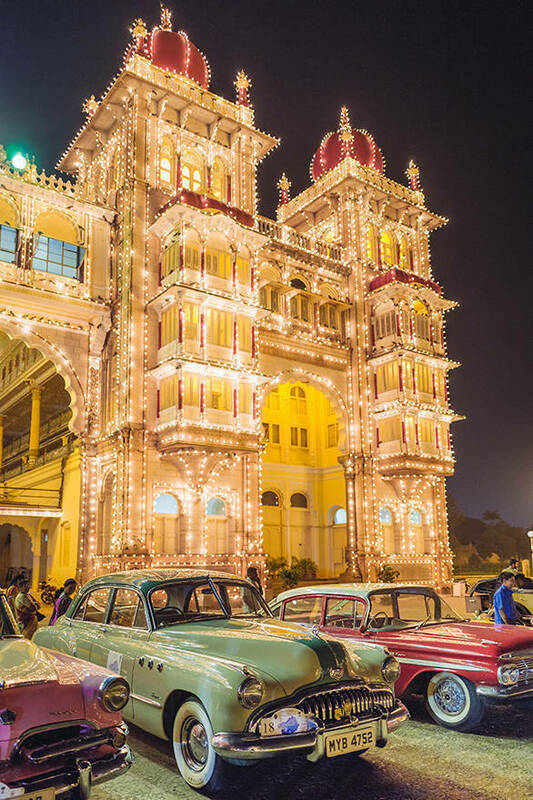 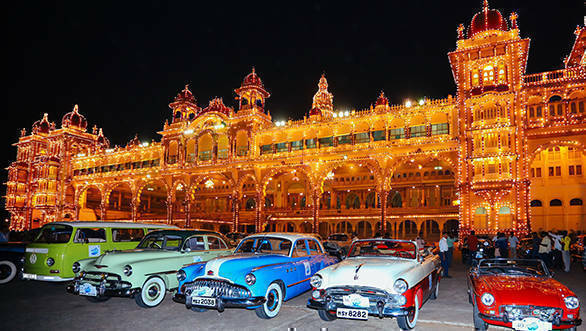 The grand parade culminated at the Indo-Saracenic style Mysore Palace, which was illuminated with over 100,000 bulbs. 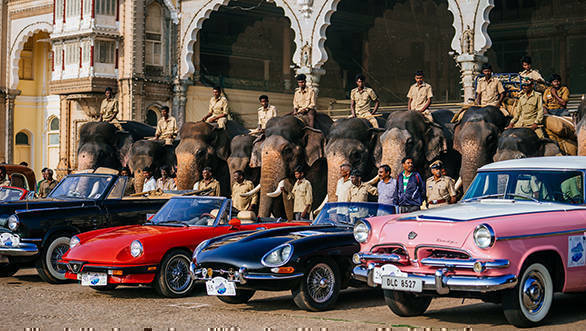 The local authorities also got the elephants that are used during the Dussehra festival, to come out and pose with the cars! 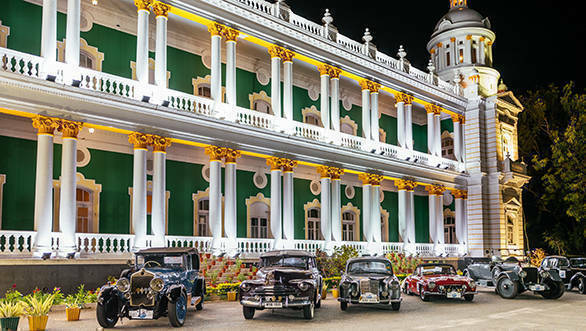 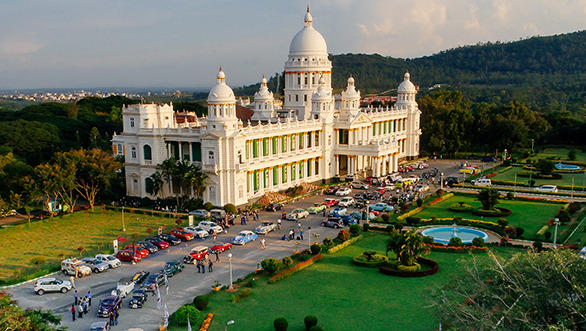 All participants stayed at the Lalitha Mahal Palace Hotel in Mysore and with the 50 historic cars parked there, it was a stunning sight. 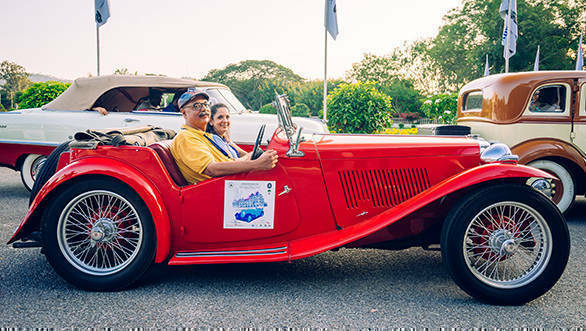 The participants were invited for lunch to the Mysore Race Club and dinner was at the Windflower Resort. 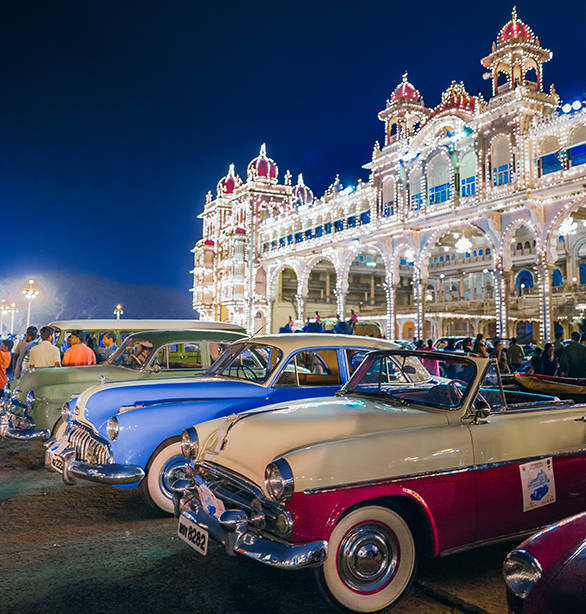 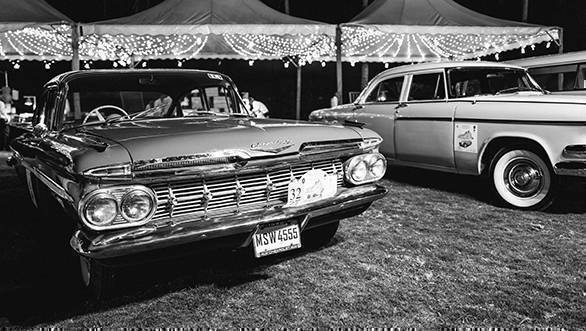 On both occasions, the cars were strategically parked in a dramatically panoramic manner. 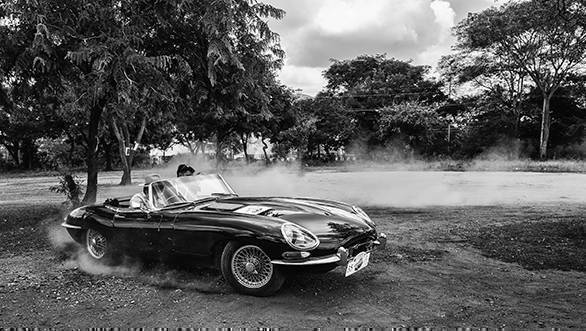 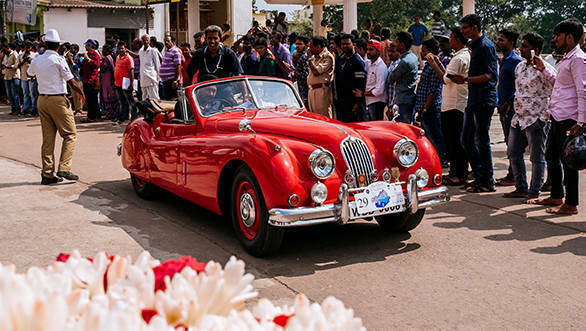 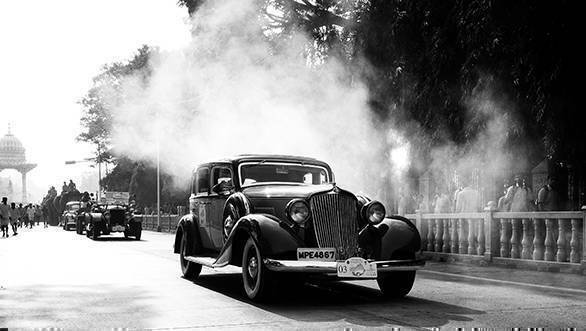 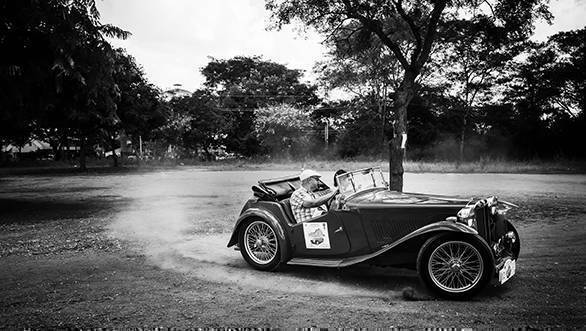 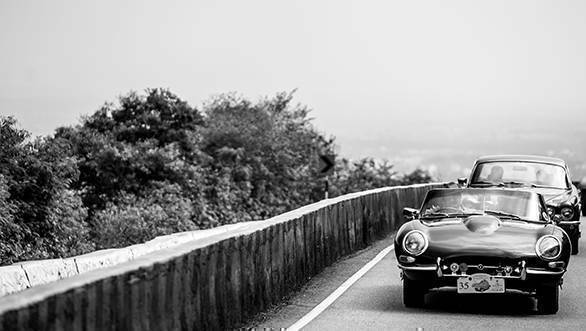 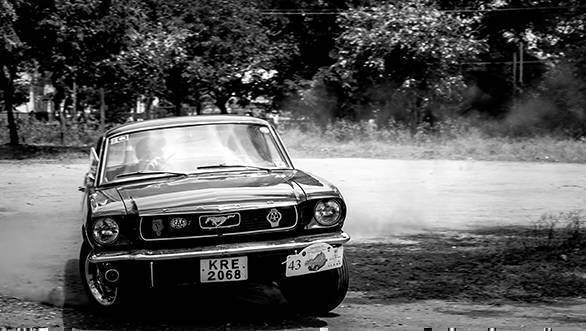 Overdrive hopes we have many more such historical car events in India.